This premium top grain goatskin leather palm works great in applications where dexterity is a must. 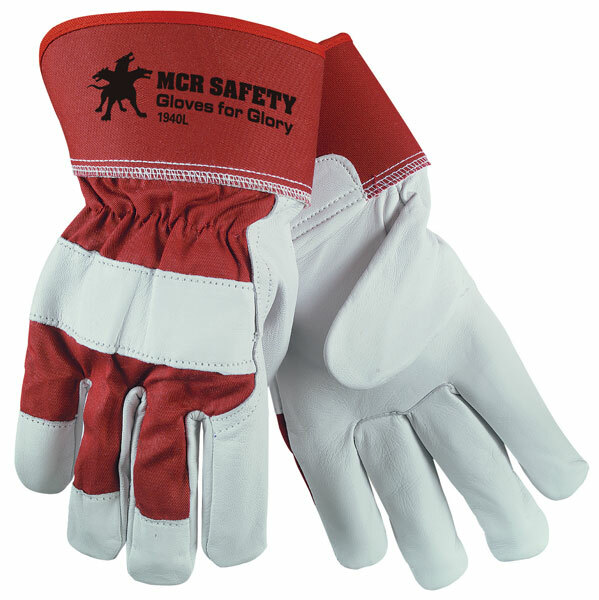 The comfort and durability of goatskin makes this glove a tough option for multiple tasks. The 1940 features premium grain goatskin, red fabric back, and 2.5" rubberized safety cuff.